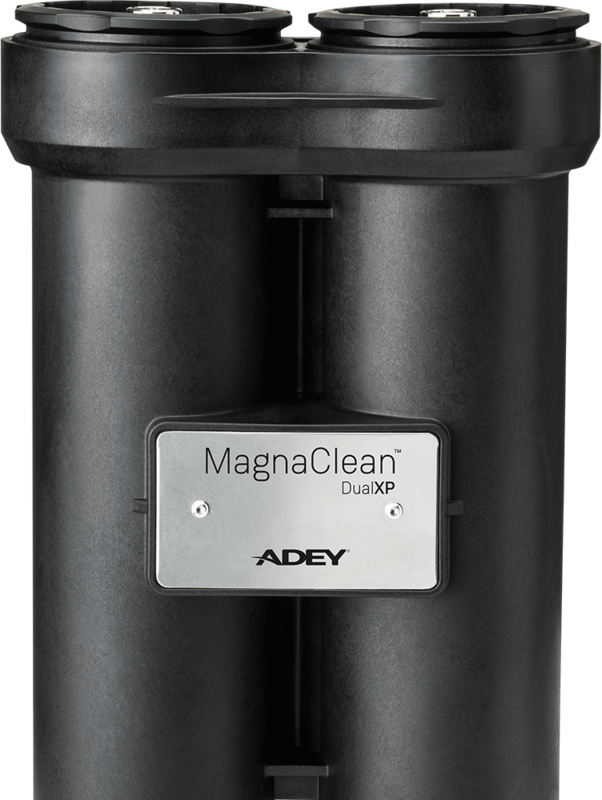 ADEY offers a full line of commercial magnetic dirt filters, from our dual-chambered MagnaClean DualXP which offers unique solutions for large residential systems, to the new MagnaClean DRX range which provides a compact and cost-effective solution for small to medium sized mechanical rooms with limited space, and last but not least, the MagnaClean Commercial filter range which offers premium magnetic filtration performance for heavy industrial applications. Magnetite isn’t just a residential issue. In fact, the bigger the system, the bigger the problem. 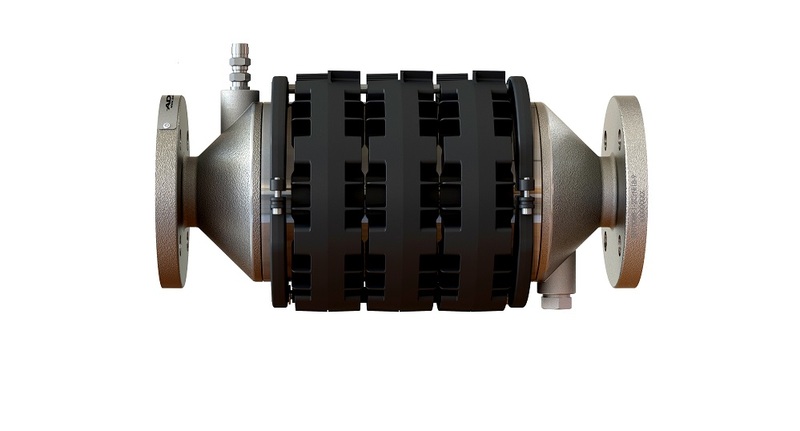 Our commercial filters are designed to tackle this heavy-duty industrial debris. 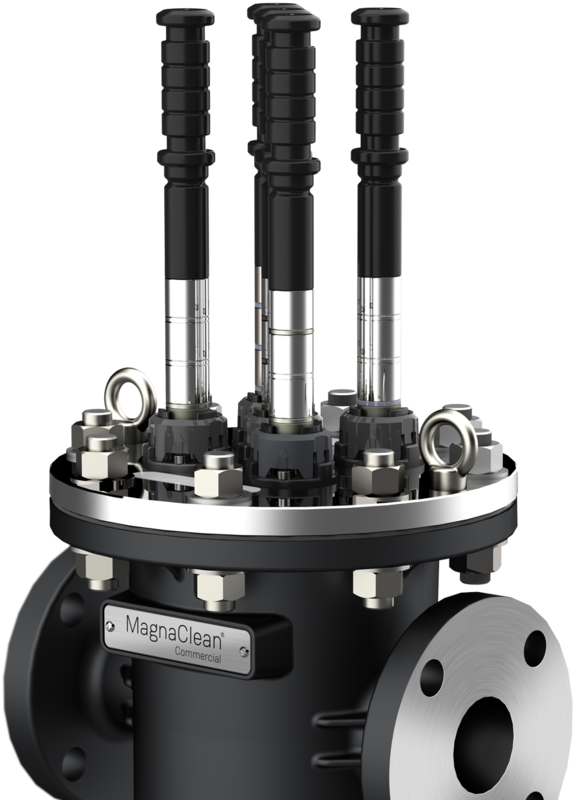 The ADEY® MagnaClean DRX™ magnetic dirt filter provides a compact and cost-effective solution for protecting heating components in small to medium sized commercial hydronic heating systems.